Portions of Decker Lake are deep supporting diving ducks and wintering waterfowl. Other portions of the lake are shallow and exposes mud flats which supports shorebirds. The lake is edged by rushes and cattails in some areas, beach or grass in others. There is a trail all the way around the lake. I was delighted to be led by fellow Utah birders to this little hotspot within easy driving distance of my office for lunch-hour visits. I added four birds to my Utah list here as well as a handful of first-of-year (FOY) birds including Lesser Yellowlegs, Long-billed Dowitchers, Franklin's Gull, and Caspian Tern. There were 18 Lesser Yellowlegs at Decker Lake on my first visit. I have never seen so many in one place. Lesser and Greater Yellowlegs can be a challenge to tell apart. I call this a Lesser based on the bill length being just slightly longer than the head is long. This bill is pretty straight too, whereas a Greater will show a slightly upturned bill. Also there isn't heavy barring on the flanks like one could expect on a breeding plumage Greater Yellowlegs. We recently had a Boy Scout camp out at Antelope Island. I went out a little early before the troop to get photos. Some of the photos from the causeway were featured in my last post. These photos come from on the island itself. Western Meadowlark in the grass - one meadowlark perched atop the boys tent and woke them up with its singing. Utah Wasatch Mountain scene - Oh! and a handsome Loggerhead Shrike that wouldn't let me get any closer. Burrowing Owl - hard to see on the left of the white rock, but there were two of them at this man-made burrow. I just read Larry's post at 10,000 Birds about his noticing Great-tailed Grackle expansion into Northern California. The first thing I thought was, "Well, if it really is happening, eBird maps will probably show it!" I discovered that Larry's anecdotal evidence is indeed correct. Watch the animated maps below and you can see that Great-tailed Grackle presence in Northern California is getting stronger. Not just there either. Other locations along the traditional frontier of G-T Grackles have also been reporting more of them and their range does seem to be expanding most notably into Oregon, Idaho, Iowa and the Dakotas. G-T Grackle expansion doesn't look anything like the rapid range growth of the Eurasian Collared-Dove, but it does appear to be expanding. The only caveat to eBird data is that eBird use is also expanding and could slightly skew the results favoring expansion, but I'm fairly confident that that influence is minimal in this case. I'm in Arizona as I type this and Great-tailed Grackles are abundant here I've seen dozens just on my way from the airport and a couple on the hotel grounds. In Idaho it was special to see them, and it still kind of special too see them in northern Utah. I'm at a business conference in Phoenix. The itinerary indicated no time for birding, so I didn't even pack binoculars or a camera. A trip to Arizona with no birding?! ...This was going to be a waste of a trip! Well, I was fortunate in that we wrapped up our first day of meetings by 5 p.m.. There was plenty of daylight, so I determined to go for a little bird walk in the vacant lot across the highway from the hotel. This would be bare-naked birding at its best! I stripped off all my cloths and started wandering through the mesquite and cholla looking for birdies. The endemic plants of the desert southwest can sure be prickly on a bare bottom. 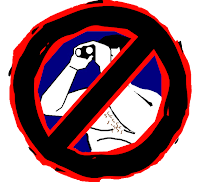 Not really, but I did go bare-naked birding in the sense that my only tools were my eyes and ears. No bins, no camera, no scope. Birding with only the senses the good Lord gave me. I found it to be very rewarding and the experience refreshed my birding spirit. Several tiny Verdin, with mustard yellow heads were calling and fluttering about the brush and trees. I found one of their nests in a large shrub. The entry was tiny Verdin-sized hole at the bottom of the cluster of twigs. I could see by looking up from below that the inner lining of the nest was of finer and softer materials. Next I found a Cactus Wren singing from the top of another bush. An Abert's Towhee darted through the brush. A Gambel's Quail called from the top of rock several yards away while Mourning Doves and Lesser Goldfinch jetted overhead. Another Mourning Dove bolted from a lonely tree as I passed by, but there on the top of a haphazard cluster of twigs were two gleaming white dove eggs. Looking back toward the hotel I saw a big dark bird carrying something in its bill. It landed on the hotel sign where it had its own nest; a Common Raven. While circling a large palo verde tree I saw a tiny bird flitting among its branches. It was small enough that I thought it might be another Verdin, but then it popped up in plain site and I could see its black and white color pattern...a Black-throated Gray Warbler! A stunning warbler that I had not seen since observing three of them in October 2006, here in Arizona. Those sightings were so early on in my birding life that I had forgotten I had ever seen one. I thought I had my first bare-naked life bird. My eBird records set me straight..oh well, but super exciting to see a Black-throated Gray Warbler all the same! I was able to identify 14 species without the aid of optics. One little-brown-job frustratingly scampered beyond the power of my eyes to focus on it. From reading Kenn Kaufman's latest edition of Advanced Birding, I made the mental choice that it was okay, and I finally let it go unidentified. Other highlights included my FOY Western Kingbird and a Northern Mockingbird. Bare-naked birding can be really exhilarating and gives the regular birder a fun challenge. I highly recommend it! But please keep your clothes on. Along the causeway to Antelope Island there were thousands of American Avocets and hundreds of Willets. For me, it is easy at a scene like this to get a bit of sensory overload. I get so anxious that I want to see every single bird and not miss one, but they are often in constant movement. I like this shot. It reminds me of a page from the Crossley ID Guide...some birds still-posed and others in flight...some close and others distant. This photo also shows the difference between Willets and Avocets in flight. My kids have seen online video and photos of chickadees eating from the hand. Darn it if our chickadees won't do that. So, my girls decided to try and train them and of course full camouflage is the only way to go, right?! This afternoon they actually sat there motionless and quiet as a mouse for a full 30 minutes - an amazing feat for a four and six year old! Chickadees approached to within a foot or so, but never ventured onto their wanting hands. Maybe next time girls! Look what I found Daddy!!! We held the Mortensen Easter Egg Hunt in our backyard Saturday morning. 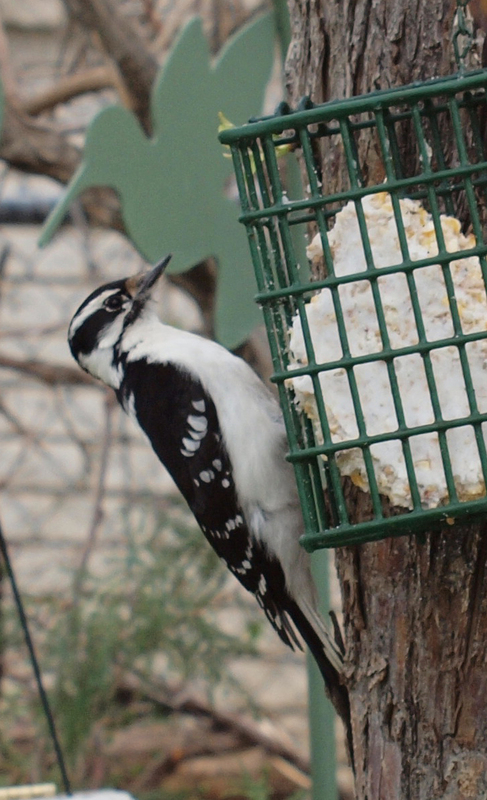 Right during the middle of the kids running all over the yard, our little female Downy Woodpecker decided it was a good time to eat some suet. Since I was right there with camera in hand, I took some photos of her too. 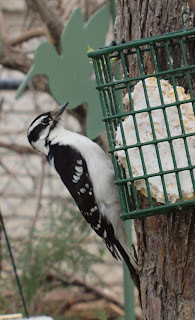 By the way, little miss Claire pictured above has affectionately named our little downy woodpecker "Elizabeth". Oh, and the neighborhood not-so-wild Wild Turkey is still around and peeks in our basement windows at us all the time. The turkey has been appropriately named "Peeping Tom". 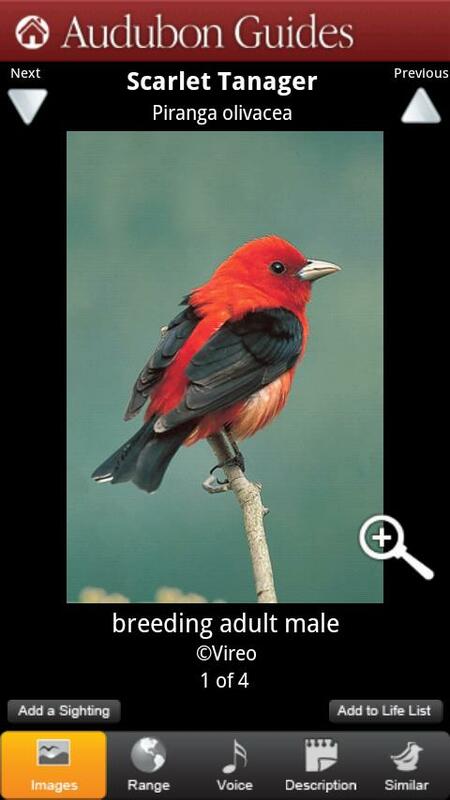 I recently downloaded the Audubon Birds app to my Android phone. I've been using this app and the Sibley eGuide interchangeably in the field. I've had some great compare and contrast between the two. I really like the Audubon Birds app for a variety of reasons. User-friendliness - I really enjoy Audubon's thumb-sized circles and icons to tap for accessing the various browse options; especially because of the fat-thumbing issues I have discussed before. Intuitiveness - this app is just so easy to navigate and it doesn't take any complicated effort to figure it out. Speed - while it does take a little while to download initially and to load for daily use (it is a large app afterall), once the app is open it navigates quickly and smoothly. Reliability - I have never had the Audubon Bird app shut down on me or "force close". Unfortunately, that is a big problem for the Sibley eGuide. 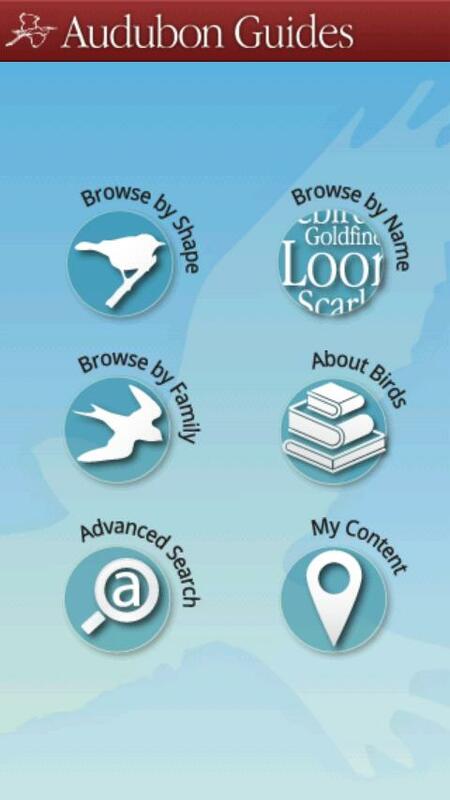 Search-ability - Audubon has the ability to search for birds by shape, by name, by family, and by an advanced search tool . Within the "Advanced Search" you can look up birds by their scientific, common, and even alternate names. You can narrow your search by habitat, region, color, size, shape, wing shape, type of call or song, and even by flight or running pattern. It can also show you species by the likelihood in your state or province, even by month! When it comes down to it, I pretty much only use the "Browse by Name" tool, but its cool that those other search resources are available, especially to new birders. Beautiful - everything from the photos to the color schemes on this app are just really pleasant to look at. There are at least a couple photos for each species and they are great quality images. Males and females are almost always shown, but it may be lacking in some more birds in juvenile plumages. The biggest weakness of the photos in this app is the lack of text describing what it is you are looking at. The range maps are pretty good and will sometimes have two maps showing the birds range into Central and South America. The section for calls and songs works well. I would like to know in what general region they were recorded in because that does matter for some species. The descriptive text is thorough. There is also an icon you can click on to view and compare similar species. Sibley does have an edge up on this because you can view both birds on one screen, but still I am able to flip back and forth quickly and well enough to be effective in the Audubon Birds app. 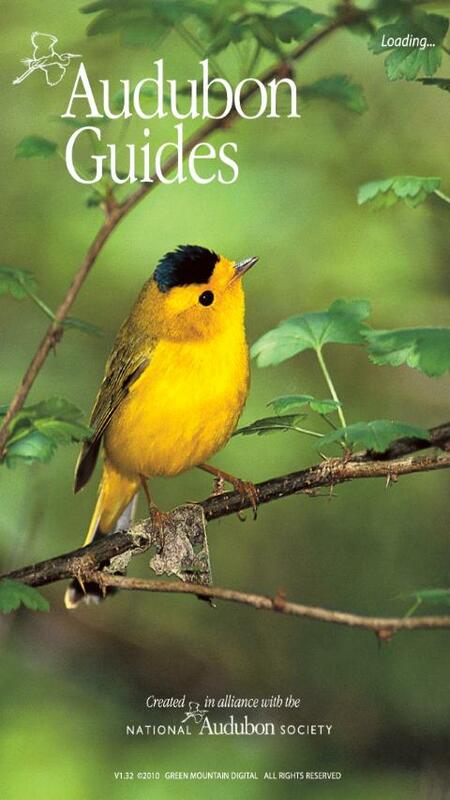 For $9.99, this is a solid birding field guide app and a fantastic value! I highly recommend this app to all birders. It is also available for iOS. They should be coming back soon! Here are some great birding blog posts that were tweet-able in the last week, meaning that I thought they were good enough to share, so I tweeted them on Twitter. You can follow me on Twitter @Birding_Is_Fun. Please feel free to recommend Tweet-able birding blogs to me too. The ABA Blog has some really good posts. Nate of The Drinking Bird is doing a great job for the ABA coordinating that blog. Here is an interesting post from Ted Floyd with a look-back at some early articles in what become Birding Magazine. They were still trying to determine what a "birder" or "birdwatchers" is more than 40 years ago. Greg Gillson hosts Pacific NW Birder and always has great photos and interesting posts. Check out his recent Bushtit photo and a post about creating a Recent Sighting eBird Gadget for your website or blog. Greg's was one of the first birding blogs I discovered and I've never stopped following it. He has been one of my bird blogging mentors...and he probably doesn't even know it! He's also been on my judging panel for bird photo competitions. Good guy, good birder, good photographer...check it out! Utah Birders is a fairly new multi-author blog that I have been enjoying since I moved to Utah. I think its appeal is much bigger than Utah and there are some really talented birders, photographers, and even authors that post there. Here is a cool recent post from Tim Avery, the lead blogger at Utah Birders, about Extreme Backyard Birding. eBird had another great post about how you can use eBird migration data to help get an edge on identifying those confusing flycatchers. Andrew Baksh, the Birding Dude, has recently been posting photos of beautiful warblers that just drive me insane with jealousy. Check out this beautiful Prairie Warbler and this handsome Palm Warbler. BirdGalAlcatraz always has cool bird photography posts and adventures. In this post, she teamed up with other bird bloggers and they saw some great birds. Scott Martin Photography continues to impress with stunning bird images. His post about Florida's Viera Wetlands being the best place for bird photography was retweeted more than any other tweet of mine this week and deservedly so. 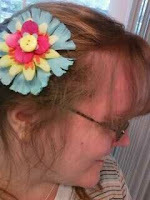 If you're not following Beverly's Photo for the Day, then you are missing out! Her photography is simply delightful. I love this photo of a Carolina Wren framed in blue. Julie at Nature's Splendor has just fantastic bird photos. 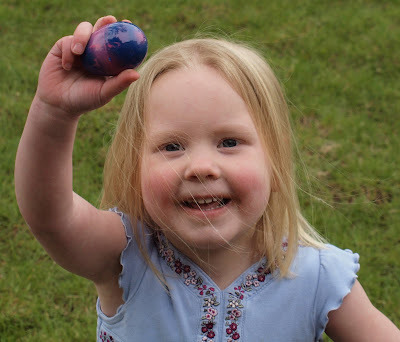 Check out her photos of Spring Visitors. Julie, I don't think your once-a-week posts are enough to satisfy me. Kathie's Birds recently had some of the best Pileated Woodpecker photos I've ever seen. Awesome! I really enjoy Chris Petrak's Tails of Birding. He recently defended Blue Jays. You gotta read it! 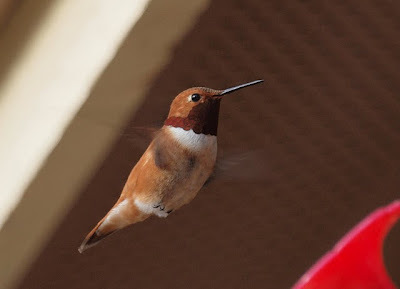 Rufous Hummingbird - these should be hitting my feeder any day too! If you are a backyard birder in the western United States, you may face the challenge of identifying and distinguishing between American Goldfinch and Lesser Goldfinch at your feeder. I've personally felt that struggle, so I put in a little field guide study time and looked at my photos for clues to share with you. The Lesser Goldfinch are featured in the middle, while the American Goldfinch are portrayed in inset photos in the bottom left and right corners. Because the insets are so small, I didn't add text. Please make note of the bright orange bill of the breeding plumaged male American Goldfinch and the yellow back compared to the dark bill and olive green back of the Lesser. On the female American, notice the white under tail coverts and larger wing-bars. Here is a male Lesser Goldfinch in flight. Those white wing patches make for an easy i.d. ; distinguishing the Lesser from American Goldfinches. Here is another post I did a few months ago about telling the difference between non-breeding plumage Goldfinches. How did you get into birding? Did you have a “spark bird”? I started birding when I was 11 or 12, when my family moved to Greenfield, New York, on the edge of the Adirondack Mountains. I think there was less of a spark bird per se, and more of a spark in the sense that I was surrounded by birds; there were at least 120 species of birds within 1 mile of our house, and they all captivated me. It was a great location—there were three other houses and about 400 acres of land that our neighbors owned—hardwood and coniferous forests, alder swamp, pine plantation, old successional fields, hayfields, et cetera. I successfully misidentified just about every species I saw for a long time. Maybe I could call warblers my spark birds—there were at least 15 species present during the summer, and at least 24 species during migration. During the first couple of years that we lived there, I saw Common Yellowthroat, Yellow-rumped “Myrtle” Warbler, Ovenbird, Black-throated Green Warbler, et cet. All got misidentified, but every single one of those species made a lasting impression. I still remember seeing my first Myrtle Warbler, and I still remember seeing my first Black-throated Green Warbler and thinking that it had to be the rarest bird in the world. I have no idea why I thought that, and I found out in time that in fact it was one of the most abundant warbler species, at least in the northeastern U.S. If there was a mentor, I think it would have been my parents, in the sense that they somehow found time in their busy schedules to take me on numerous field trips with the Hudson-Mohawk Bird Club until I got my own license and vehicle. But I taught myself through trial and error for a long time. That’s not to say, though, that there have not been people who taught me identification tips; you can always learn something new. I can think of at least a couple of birders who I have learned an awful lot from, perhaps because I have birded with them a lot. Ryan O’Donnell has taught (or is trying) to teach me to remember to pay attention to common birds, because there can be subspecies, hybrids, or good birds hidden amongst the more common species. I tend to remember that when it comes to warblers and sparrows, but I’m not too patient with gulls—and I should be. Jay Carlisle taught me an awful lot—perhaps most notably how to identify distant migrating goshawks based on shape and structure; i.e., how to separate them from Cooper’s Hawks. Jeff Schultz at Southeastern Michigan Raptor Research (now called the Detroit River Hawk Watch) near Detroit, taught me to look far, far, far away to find and identify distant migrating raptors using my spotting scope. I try to bird for at least 5-10 minutes everyday, whether watching birds in my yard (really an apartment complex, but lots of trees around) or going to one of my favorite places in Cache County. I have several I really like, but I think they have all already been mentioned-Rendezvous Park, Sue's Ponds, and Benson Marina. I also really like Dry and Green Canyons. There are a couple of locations that I am going to stay mum about. Where in Utah would you say is the most under-birded place that may have great untapped potential? I think there may be a fair amount to be discovered in the mountains, particularly in the western and northwestern parts of the state. Nobody goes out there, except for an occasional visit to the Lucin. But I also still wonder about species right under our noses. I think that there might be more to discover in the high mountain forests such as the Uintas. They get birded, but how many people are out owling in those forests in February and March, when boreal owls are singing? I don't think very many—maybe a few visits here and there, but certainly not regularly. I'm not saying that there are boreal owls everywhere, but you're not going to find them if you're not out listening for them when they are talking, and they are usually talking in high-elevation forests, 8,000' and higher in late winter, after dark, when most birders are not out there. There are also question marks for other species in the state—for example Least Bittern, Mountain Plover, Baird's Sparrow. The majority of the birding effort is focused on the Wasatch Front, from Provo to Brigham City, plus Cache County, and then southeastern Utah. There are certainly other locations here and there that get visited, but I would guess 70% of the state does not get birded regularly. How would you describe yourself as a birder? 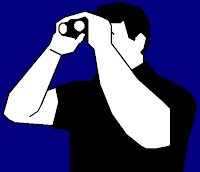 A “watcher”, a “lister”, a “chaser”, “ticker”, “twitcher” all of the above, or something else? I think maybe all of the above. I will chase a really good bird if I think it's going to stay put and I have a chance of relocating it, but I much prefer to find "my own" birds. I have become a lister in the sense that I keep lists as a personal challenge and incentive to keep things fresh, but I usually don't need that kind of motivation. I still can be enthralled by watching an American Robin or Black-capped Chickadee, even after 25 years. I use Leica 8 x 50 binoculars and a Leica Televid 77mm spotting scope. I use a Pentax Optio digital camera for occasionally passable digiscoped shots. For a long time, I wrote down my sightings as lists either on traditional paper checklists, or in notebooks, and for a while I even entered them in Excel. But sometime in 2008 Ryan O'Donnell introduced me to eBird, and I have become a convert, although I think he had to pester me about it for a while before I became convinced of its value. I enter of all of my sightings in eBird, and have done so since summer 2007, and I also have gone back and entered many of my old checklists. eBird is wonderful because allows you to quickily and easily enter your data—all of your data in one place where it is easily accessible. Plus you can create maps, graphs, summary tables, compare your lists with those of other birders...and you can download it and back it up on your hard drive. I love it....all my data is in one place, and with a few clicks of the mouse, I can see when I last saw a Wood Thrush, et cet....it's a wonderful tool, and I encourage everyone to use it and fill out complete checklists. I keep track of what I see because I like to go back and reminisce, and because there is no way I can remember without lists. For many species, I have no idea (without looking at my data) when I first saw a species, and sometimes, for species that I've only seen once or twice, I can't even remember if I've seen it before. eBird data, whether your own or not are also useful because they can help you focus on when and where to look for species...if you look back at your old data, as well as those from other birders who enter their data into eBird, you can figure out when you should be looking for, say, the first Swainson's hawks in the spring, or maybe when you should be looking for rare migrants such as Red-eyed Vireo. And most importantly, all of your data is combined with everyone elses data—it gives eBird an enormous data set to work with, and they've done some cool stuff with it. What is your favorite backyard bird? My current favorite yard bird is “my” resident Western Screech-Owl pair. It’s nice to see at least one of them on an almost daily basis, although I don’t think the black-capped chickadees are too enthused about their presence. Much more information is now available on the web than when I first started birding, but I still I really enjoy Birding (put out by the American Birding Association). Websites I frequent are eBird, Birdingonthenet, David Sibley's wesbite, and the Birds of North America (online life histories of all bird species normally occuring in the US and Canada). Ok, I don't read the Birds of North America, but it is a great place to find answers to your questions about what you see in the field-all from the scientific literature. Sibley—I think he was the first to paint just about every single species in flight. Birds fly, right? And a good percentage of the time the birds you're trying to id are in flight, right? So why would you not paint them in flight? Which three books from your personal birding library would you recommend to other birders? 3. Hawks in Flight (Pete Dunne, David Sibley, and Clay Sutton)- A classic and a must-read if you are going to be serious about identifying raptors in flight. 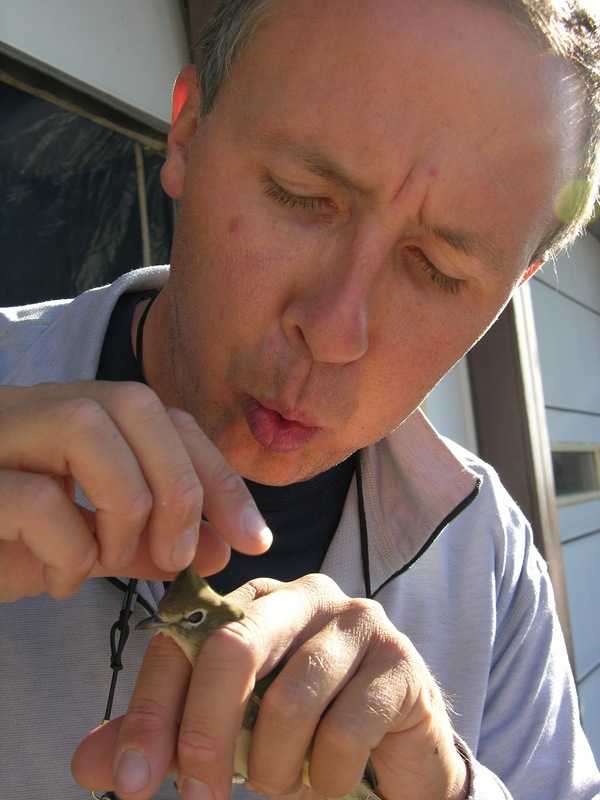 I have a Bachelor's in Biology (spent half my time birding) from SUNY-Oswego in upstate New York, and a Master's in Biology from Boise State University in Idaho; my thesis focused on effects of prescribed fire on breeding forest bird communities in Oregon. I would say I am proficient at birding by ear (songs and calls), and identifying songbirds and raptors. I really enjoy the challenge of identifying birds just by hearing them talk to each other, and I also really like the challenge of putting a name on distant raptors, perched or flying. I hope to see 700 species in the US before I die, and I would like to bird in the Tropics and Europe. And hopefully spend much of the rest of my life watching birds. I participate in a lot of Bridgerland Audubon Society fieldtrips, and I am a member of the American Birding Association. Gyrfalcon. Yes, I've seen one-but just one. I've chased at least five maybe more, and I've spent lots of time birding in winter in areas where they have been seen on a semi-annual basis, particulalry upstate NY and at hawkwatches in Pennsylvania and Michigan. 1. Try not to be the Bird Police. I’ve made the mistake of doing it, and it often does not work well. A healthy dose of skepticism is fine, and is an important part of birding, because you’re more likely to see common species than rare ones, but even if the person is wrong, does it really matter? You know what you saw, and it’s on their list, not yours. Besides, you just never know. Birds have wings, and they don’t read field guides. It probably is just a common bird rather than a rarity, but…my lifer Brambling came thanks to a novice birder in Kuna ,Idaho…I’m glad Ryan Brady (who saw the post on the Idaho list) and I drove out to Kuna and looked, rather than just saying “no, there is no way you have a Brambling at your feeder”. 2. Don’t trespass just to see a bird. Ask first! People usually have the Posted signs up for a reason, and you’re just exacerbating the problem if you ignore them. There’s a pretty good chance they’ll say yes if you ask nicely, and there’s a pretty good chance they’ll call the cops if you don’t. And it might cause otherwise tolerant people to take a hard line against birders, as has happened at more than a couple of places in southeastern Arizona, for example. 3. Go easy on the tapes and the MP3 playbacks. It’s not just about seeing the bird; you can cause elevated stress levels, and cause birds to waste precious resources and sometimes even abandon territories if you keep playing that audio lure. Play it once, briefly, and let it be. And don’t keep coming back to the same location and playing the tape. Stop, listen, let the birds talk, and don’t intrude. I love being outside; particularly in the mountains - I hike and snowshoe a lot. I enjoy a good book, and I have a passionate interest in railroads, historical and contemporary. I have a collection of railroad books almost as big as my collection of bird books, and I have been known to drive hundreds of miles and shoot lots of slide film on trains. I will chase a good train, for example a steam train excursion run by the Union Pacific, just as readily as I will chase a really good bird. I once saw a gull fall off a sidewalk. I think I would be a Merlin, because they are really pugnacious, cranky, and fast. Plus they are just beautiful, they travel a lot, and they live in beautiful landscapes. Besides, I can't sing to save my life, so I'd make an awful songbird. I seem to be a magnet for attacks by nesting goshawks. Part of the reason is because I've spent a lot of time censusing songbirds in habitat used by nesting goshawks, but I think I must have a sign on my head that says "Goshawks hit here". I've been attacked at at least three different nest locations, two in Oregon, and one in upstate NY. Come to think of it, I also saw 16 migrant goshawks in one day (eight adult, eight immatures) in November 1999 when I was the official counter at Hawk Mountain in Pennsylvania. That's the reward for lots of boredom and cold days in November - I think only a couple of other people were present to enjoy that day. Total life list? 568 species. Either Cave Creek Canyon in southeastern Arizona or Bensten Rio Grande State Park in Texas. I am not sure that either qualifies, but both are fantastic birding locations; oh, and the scenery at Cave Creek Canyon - That's pretty awesome too. 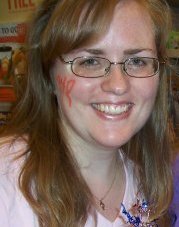 Birder Profile is a regular blog segment at "Birding is Fun!" spotlighting a fellow birder. If you are interested in sharing a little about yourself and your birding experiences, please send me an email. Is there a birder you'd like to see featured? Please nominate that person by sending me an e-mail too. Enthusiasm for birding is the only prerequisite! 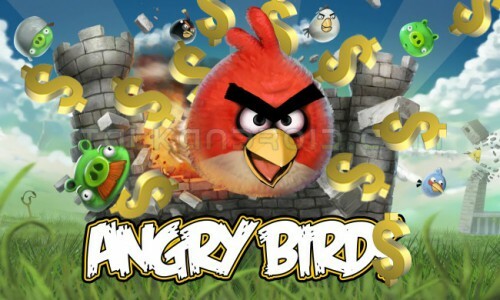 Boston – April 20, 2011 – Angry Birds is fast-paced, endlessly entertaining, and absolutely addictive. Is there anything as captivating as this video game in the real world? What about actual birds? Spring migration is underway (it will peak in May) and the gorgeous feathered creatures returning can be just as absorbing and addictive as their rotund, multicolored, revenge-seeking cartoon versions. “There is no ‘wrong way’ to go birding,” writes one of the world’s best-known birding experts Kenn Kaufman. 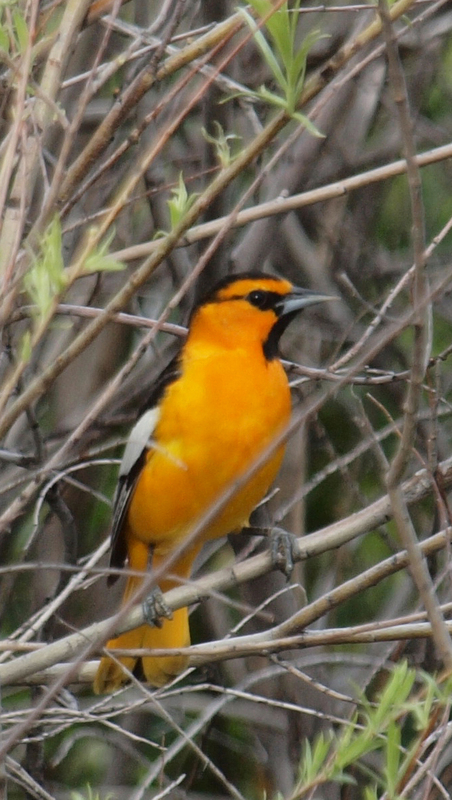 “Birding is something that we do for enjoyment—so, if you enjoy it, you’re a good birder. If you enjoy it a lot, you’re a great birder.” In case you need further encouragement to look up from your screens and get outside, we’ve asked Kenn Kaufman to share his top ten secrets to become a better birder from his new book the Kaufman Field Guide to Advanced Birding (Houghton Mifflin Harcourt, April 19, 2011). 1. Put birds in boxes. No, not literally. But if you can separate birds into categories, the challenge becomes much simpler. If you can decide that a particular bird is a woodpecker, for example, then you only have to choose among a handful of species, instead of hundreds. 2. Check the map, check the calendar. Although free-flying birds might show up almost anywhere, usually they are predictable. One of the most valuable resources you can get is a local bird checklist that tells you which species are found nearby, and at what seasons. It¹s a tremendous advantage to know which birds to expect. 3. Always look for multiple clues. In the early stages of learning, it’s tempting to settle on one diagnostic mark on a particular bird and ignore everything else about it. But this can backfire in a variety of ways. To be sure, always look for other marks as a backup. 4. Exercise your ears. 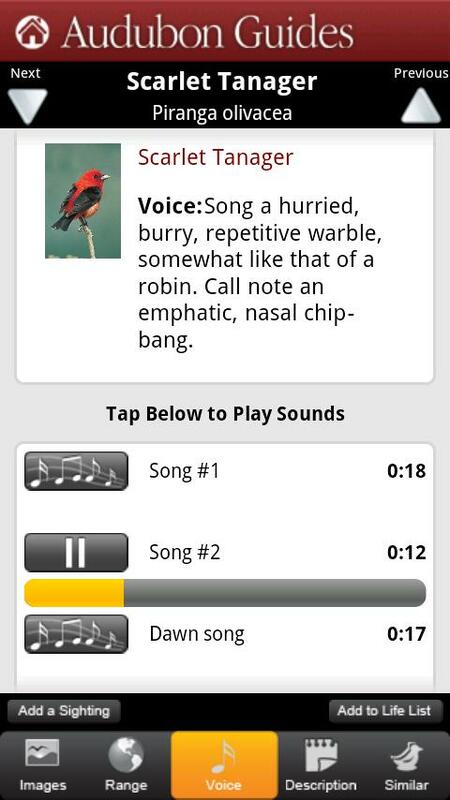 You can train yourself to be a better bird-listener. When you hear a new bird song, try to describe it to yourself in words; the effort to describe it will help you to remember it. 5. Shape up your birding. One of the best field marks for any bird is its shape: with enough experience, you can identify most North American birds by silhouette alone. When you¹re looking at a bird that’s easy to recognize by its colors or markings, take an extra minute to notice its bill shape, tail length, head size, and other aspects of shape. Then you¹ll know that bird if you see it in an odd plumage or in odd light. 6. Look at fliers. Birds fly—that’s one of the cool things about them. But many birders tend to avoid looking at flying birds, because it’s harder to see standard details on a little bird that’s moving fast in the air. Make the effort to study birds in flight, and soon you¹ll be recognizing more of what you see. 7. Fanfare for the common birds. Finding a rare bird—well, that’s exciting. But to recognize that rarity when it shows up, it helps if you know the common birds extremely well. Paying attention to the most common, everyday birds will pay off in helping you to pick out something different. 8. Write it down. The most valuable learning tool for birding—more important than binoculars or field guide—is a pocket notebook and pencil, so that you can take notes on the spot. 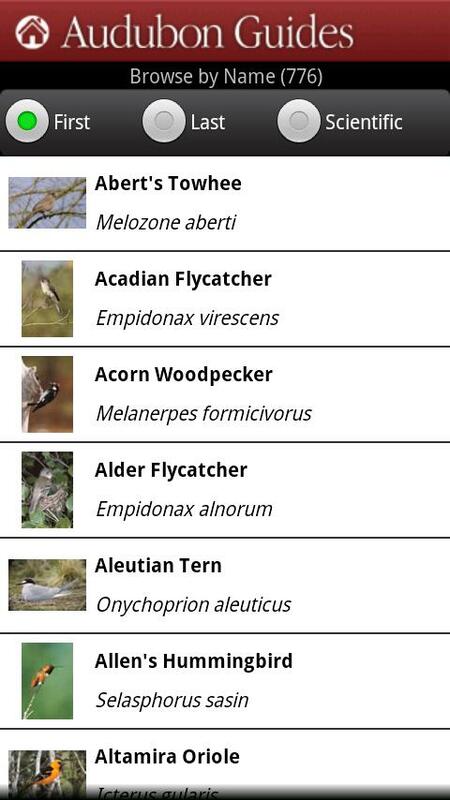 Not just the names of birds, but details about what they’re doing or what they look like. (If you’re brave enough to sketch the birds, that’s even better.) Concentrating enough to write about or draw a bird will help to fix it in your memory. 9. Spend more time looking. Many birders spend 95 percent of their field time looking FOR birds, and only about 5 percent looking AT birds. The surest way to improve your skills is to shift those percentages: don’t stop looking at a bird as soon as you know what it is; instead, take a little more time studying each one. Birds are beautiful to look at anyway, so this isn¹t exactly a grim assignment! 10. Learn to let some get away. No one can recognize EVERY bird they see or hear—even the top experts have to let some go unidentified. So don’t worry if you can’t put a name on every bird. The important thing is to have a good time. Birding is something that we do for enjoyment, so if you enjoy it, you’re a good birder. Kenn Kaufman is the originator of the Kaufman Field Guide series, which includes books on birds, butterflies, mammals, and insects. He has also written Lives of North American Birds and two birding memoirs, Flights Against the Sunset and the classic Kingbird Highway. A frequent contributor to birding magazines such as BirdWatching, Bird Watcher’s Digest, and WildBird, Kenn is also a field editor for Audubon. He and his wife, Kimberly, live in Oak Harbor, Ohio. Disclaimer: no actual birds were thrown in the making of this wire release. This day, I visited my patch with the intent to photograph another bird, but right away I found this Hermit Thrush, which is new to my patch and a bird I have never taken photos of before. So, I plunked down on my light-weigh camo fold-up chair right in the middle the brush where the Hermit Thrush was hanging out and just started taking pictures. Right away I discovered some interesting antics. The Hermit Thrush would shimmy up and down branches - almost like it was sliding along the branch, but was really a series of super rapid hops. The only thing I could relate it to was the online video clips of the dancing of the red-capped manakins. At the same time it was splaying out its tail feathers and stiffened out its wings. Was it displaying against me the intruder? Was it trying to signal a mate? Or was it just showing off for me? I'm not sure exactly what it was doing, but it sure made me laugh. 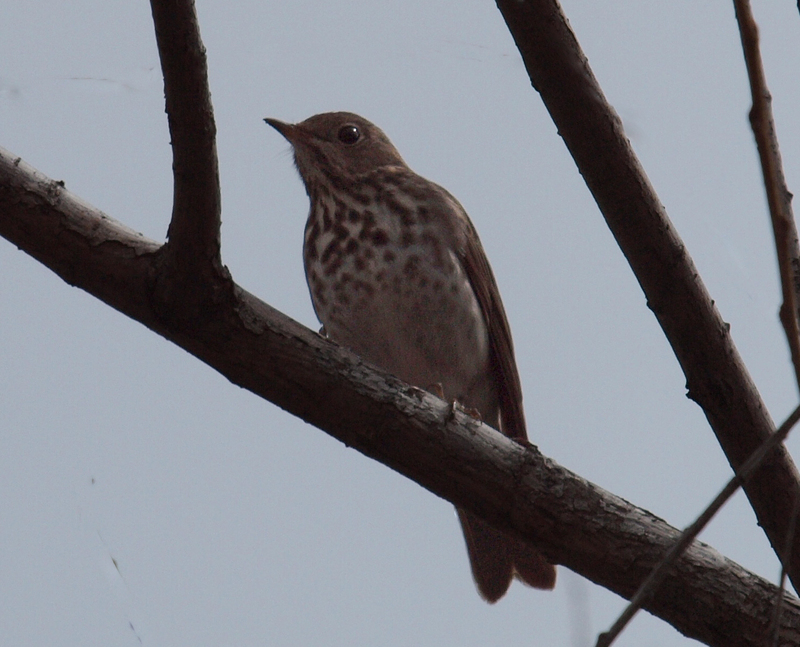 And here is an example of the reason it's called a Hermit Thrush! - They tend to skulk in the dense undergrowth. Good for their safety, but tough for the poor sap trying take its picture. I shot over a hundred photos, but very few are worth posting as this Hermit Thrush was in the thick of the branches and I almost never had a clear view. 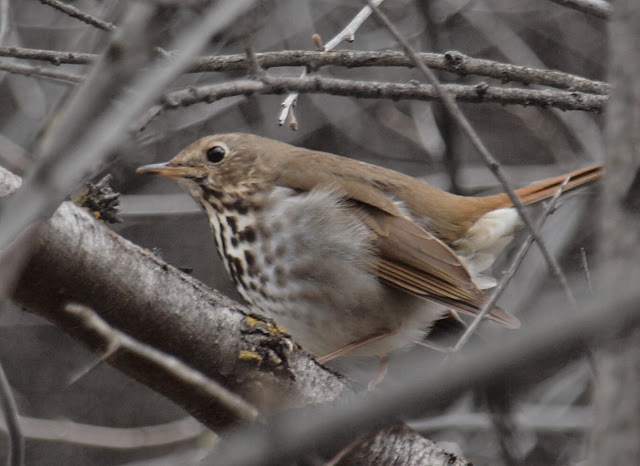 I do like this photo as it shows the key identification characteristics of the Hermit Thrush: heavily spotted breast, faint eye ring, not much cheek contrast, and gray-brown head and upper parts with a more rusty tail. A Swainson's Thrushes would be more uniform reddish-brown from tail to upper parts and have a more prominent cheek contrast. This Hermit Thrush may look a little different if you are not from the intermountain west as it is the interior west race. Below are some of the most common birds I see, but all worthy of attention and each is beautiful. European Starling - showing the yellow breeding bill. Non-breeding Starlings have dark bills. Love 'em or hate 'em, you cannot deny the beauty of their iridescent plumage. Speaking of iridescence, check out this Black-billed Magpie showing off its blues. And then I caught it hoping up to the burned out log showing off its impressive color pattern of white, blue, and black. A fellow Utah birder/photographer joined me for my lunch-hour walk at my patch. He is a much more skilled photographer than I and has a bigger lens too. He was taking images of this Magpie at the same time. I'll post a link to his photos if he puts them online. Keeping with the theme of iridescence, check out that Mallard head! We saw this Canada Goose swimming over a hundred yards this way...kind of like it was hiding or like it was sneaking up on something? Why was it doing that? I’ve never personally known anyone who was a birder. For about the last 3 years, I’ve felt more and more of a desire to learn about birds, and finally started into it seriously last year. I grew up in northern Wisconsin and have always loved birds. The Wisconsin state bird is the American Robin and I can’t remember how young I was when I learned to recognize them but I’ve long loved them as an early favorite. I don’t think there was any one bird that started it off for me but I grew up in and around forests. The constant bird songs and calls that were a part of the background in my childhood were always something that intrigued me. In those days, the internet was not around for my family, and my local library was very small. It didn’t occur to me that I could find out which birds made the noises I’d always heard. It’s been a thrill this past year to discover identities to a lot of the bird sounds I’d heard all my life. I go whenever I can, but sometimes it’s only once or twice a month (besides neighborhood walks). I stay pretty close to home most of the time because of the rising cost of gas. I like the canal behind my house, Decker Lake, Miller Bird Refuge, Memory Grove, Mehraban Wetlands, the International Center. Where is your favorite place to bird in your Utah? In the U.S.? Any place that has birds is great, and bonus points if it’s also beautiful. I really miss the Wisconsin forests. I enjoy Miller Bird Refuge in Salt Lake…cool, shadowy trails by the creek. Decker Lake is fun for all the waterfowl. I don’t have any “unknown” places, but I’ve been to the Mehraban Wetlands in Draper, Utah several times and it’s a great little place to find a good variety of birds. I think I’m mostly a watcher. I love to watch the birds and be out in nature. I do also enjoy adding to my life list, though, and keeping track on eBird. Writing down locations where I first saw birds really helps me remember the day and the experience. I’ve used cheap no-name binoculars for the past year, but on the advice of another birder, after saving a long time, just this week I bought Nikon Monarch 8x42 binoculars. They are absolutely amazing. Since I use birding not only for my own enjoyment but as part of my children’s schooling, I initially made some “Life Lists” in different formats for myself and my kids on the computer. Some were text only and others let the kids draw pictures of the birds, as well as add details in writing. Then I discovered eBird and I’ve also been using that this year. It’s great to have the technology at hand to use online maps, see other birders’ local observations, and more. I like keeping track of when and where we first saw birds because it helps us remember clear details about the day and experience. Every new sighting is pretty exciting to me, especially if I either recognize the bird immediately or am able to find out what it is later on, by going home and looking it up. One time when I was at Cooper Park looking for Burrowing Owls (with no luck) I saw a Western Meadowlark. I had never seen or heard one before and was captivated by the beautiful song and colors. What is your favorite backyard bird? Any good backyard birding stories or amazing backyard bird sightings you can share? My kids and I love Chickadees. We could watch them for hours at our feeders and in the trees in our yard…we love their crazy acrobatics, their songs and calls, the way they eat sunflower seeds, and their curious, friendly nature. One day that we’ll remember forever, they took seeds from our hands. Later that same day I was re-filling the peanut butter on a hanging pinecone and a Mountain Chickadee came and started pecking it off while I was still putting it on. I also loved the day we saw a Spotted Towhee in the back yard. That was a first, and so was the Northern Flicker that showed up a week later. Watching the California Quail run around with their heads bobbing is endlessly entertaining. I spend most of my birding time online at Whatbird.com, Utahbirds.org, and the Cornell Lab of Ornithology site. My kids and I also love the “Nifty Fifty” state bird guides. The Utah Birders blog is a new favorite, as well. I love UtahBirds.org for a lot of reasons but I’ve especially used the terrific “Places to Bird” lists on the left frame. It’s helped me so much in figuring out where I can go to see birds, especially close by. I really like the Sibley Field Guides, but I’ve enjoyed all of the field guides at the local library. The Sibley guide just “clicks” with me for some reason. I like the way it’s laid out. I also like guides that use photographs instead of or in addition to art, and I’m really looking forward to the western version of the new Crossley ID Guide. It looks amazing. I’d really like to explore lots of local spots in Utah. I haven’t had the means or time to get to very many. I hope to visit Antelope Island soon, and get up in the mountains more. I also would love to re-visit northern Wisconsin and go birding there. I homeschool my three children and I love to incorporate birding into their schooling. It’s a great opportunity to teach them about science, nature, and love for their fellow creatures. I love to read…children’s and teen novels pretty much exclusively. I like writing, and would like to write children’s books someday. I enjoy being with my family, learning about anything and everything, music, gardening, and knitting/crocheting. I’m not sure which species, but it would have to be something with a beautiful song and voice. I love singing and music. Western Meadowlark, House Finch, Hermit Thrush are possibilities. The west desert in Utah. I wasn’t there for birding…I was there for a missing-person’s search…but while waiting for the rest of the group, I saw a Western Kingbird and some House Finches. I’d like to become familiar with many more birds and enjoy lots of great birding experiences in nature.